Lima, Peru, 12 December 2014 – Lima Climate Change Conference: Norway and Switzerland Call for Commitments to Adaptation Measures Lima, Peru, 12 December 2014 – At the Climate Change Conference in Lima where State parties discuss a new climate agreement, Tine Sundtoft, Norwegian Minister of Climate and Environment and Bruno Oberle, Swiss State Secretary, Head of the Federal Office for the Environment stressed the importance of adapting to climate change impacts and prepare for human mobility in response to the effects of climate change. “Displacement as a result of disasters is nothing new. There have always been cyclones, floods, earthquakes, volcano eruptions, droughts and mudslides etc. What is new is the frequency and intensity of sudden onset weather related events “, declared the Norwegian Minister. “It would be naïve to believe that no-one will have to move – voluntarily or forcibly – as a result of climate change. It is in order for this to happen in dignity and in respect of their human rights that we have launched the Nansen Initiative”, she added. Tine Sundtoft and Bruno Oberle chaired a side event yesterday on climate change and human mobility organized by the Nansen Initiative, a Swiss/Norwegian consultative process launched in 2012 and intended to build consensus on the development of a protection agenda addressing the needs of people displaced in the context of disasters and the effects of climate change. 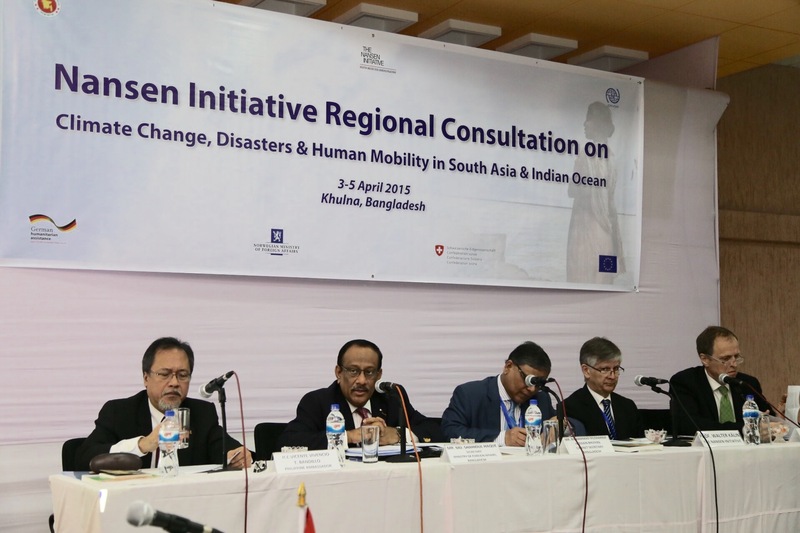 Since 2008, an average of 27 million people have been displaced annually by disasters. 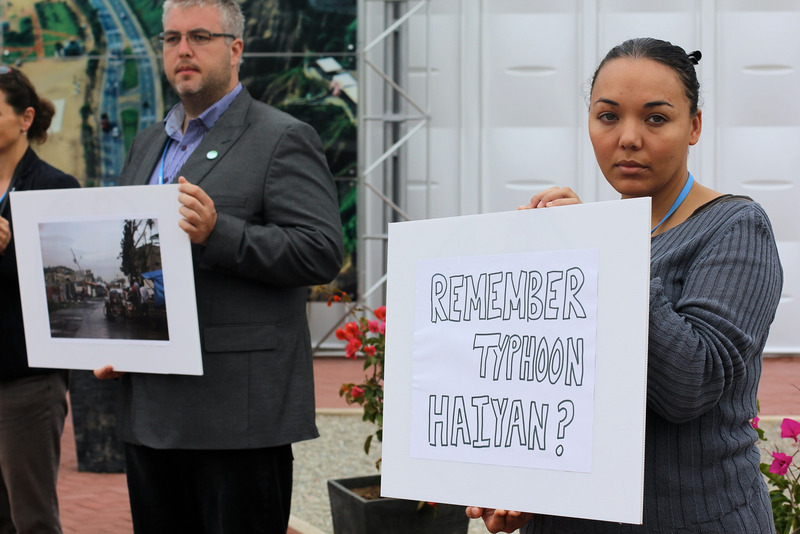 A year ago in the Philippines, Typhoon Haiyan forced more than four million people to leave their homes. While the global number of people displaced by slow-onset disasters like drought and raising sea level can only be estimated, in 2011 some 1.3 million Somalis were internally displaced, with 290,000 people seeking refuge across international borders, in the context of the Horn of Africa drought, famine, and instability within Somalia. Disaster-related human mobility is a global reality that keeps growing in complexity and proportion. 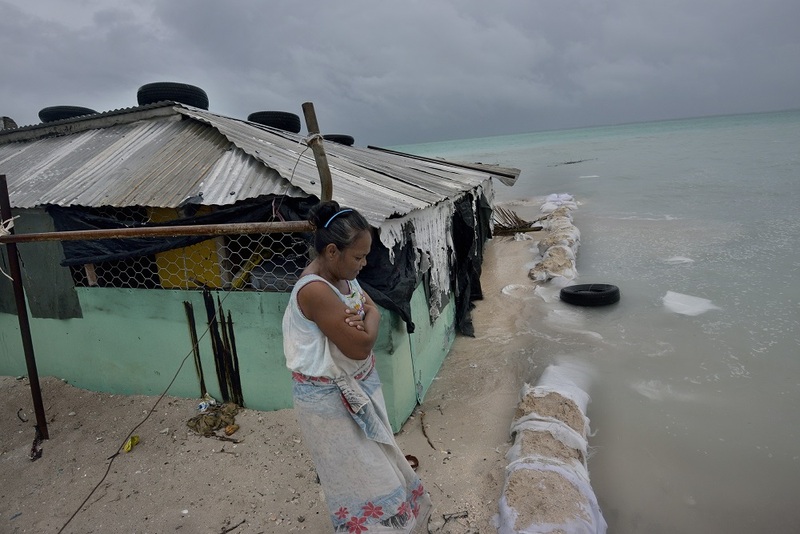 According to the International Panel on Climate Change, climate change is expected to increase the frequency and intensity of such disasters, raise sea levels, and change rainfall variability, threatening human settlements, infrastructure, natural resources and associated livelihoods, and prompting higher levels of displacement worldwide. 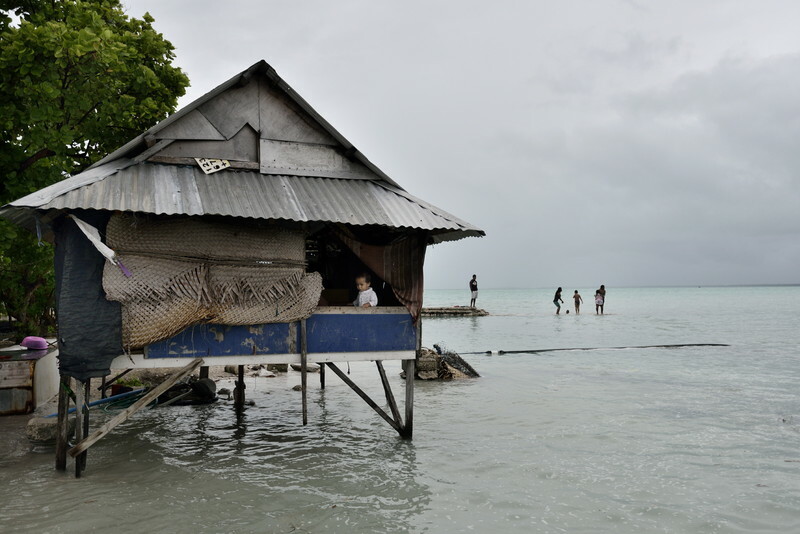 “Governments should assess how climate change impacts human mobility and prepare accordingly to ensure that families and communities can remain in their homes for as long as possible”, said Bruno Oberle, the Swiss State Secretary. “It is essential to factor in human mobility aspects into national adaptation plans, including measures such as planned relocation giving priority to the most vulnerable communities”, he insisted. The national adaptation planning process helps governments identify their development needs while preparing to respond to the effects of climate change. Migration as an adaptation is another measure to help communities cope and avoid displacement at a later stage.